Hello, I’m Jeff Whitman. I’m a university professor, who teaches Global Studies in Denver, Colorado. My wife Victoria is professor who teaches Gender Studies for an online university. We both have been lifelong liberal progressives and have been involved in several social movements together in our early college days. We actually met at Occupy Wall Street in Zuccoti Park. When Victoria and I decided to have kids we promised each other we’d raise them with a liberal attitude towards life and would give them plenty of resources to learn and remain open minded to new ideas. Years after Victoria and I had kids, I became interested in Stoicism and became a Stoic. I decided to apply Stoicism to my life and try to live as hard as I could to put virtue first in all of my goals. My wife thinks I’m funny for being so dogmatic. She’s one of those people who like to have a smorgasbord of ethics. She likes utilitarianism, deontology, and virtue ethics but won’t settle for any particular ethical system and just uses what she likes given the situation. That kind of attitude can drive me crazy sometimes but it is what it is and I accept it. Our youngest child is Vicky. She is in 8th grade and is doing well in school. She is really bright and is actually quite familiar with the works of Friedrich Nietzsche. She’s decided she’s a nihilist. In her mind, there are no real values and no morality. She still acts on her moral sentimental instincts and is definitely a good kid but she thinks there’s no way to rationally justify her views. She laughs at anyone who believes in principles and values. Frank is just starting high school and he’s doing all right. He’s a B student, kind of like me in high school. He spends a lot of time at the library alone and considers himself an Epicurean. I often discuss a lot of different issues with him because he’s always wondering what a Stoic would do and it gives him some ideas on how he can approach the problem from an Epicurean point of view. Our eldest child is Britney and she’s a senior in high school and she’s already scored high enough in ACTs and SATs to go free-ride to any major American university of her choosing. She’s thinking about Princeton, which is pretty damn cool. She’s into computer programming and tells me all the time about programming languages. I’m often zoning out because programming is so dreadfully boring to me. She considers herself a Skeptic. No, not a scientific skeptic, although she is one of those. But she considers herself an ancient Greek Skeptic. She often laughs at me and considers my ethical viewpoints to be no more real than optical illusions. With the different viewpoints my children express and even my wife, it makes for interesting discussion around the dinner table. We don’t always have to agree on every single thing but we do agree on the important issues like when it’s time to go to bed and turn off the TV. I’m pretty happy with our family because we are good people despite our different outlooks on life. I never would’ve thought I’d have a nihilist daughter and I would’ve never thought about a nihilist being such a good person. I think the main reason why we do so well as a family is because my wife is sort of a control freak. Sometimes when she’s laying down the law of the house, I can’t help but to jokingly think of her as a fascist. But I never say it out-loud because she’s only doing what she thinks is good for the well-being of everyone. She’s pretty much the glue that holds the family together. If it wasn’t for her, I don’t know if anything would get done. Why don’t I assert myself as the family man and drill Stoicism into everyone’s heads? For one, it’s never that easy. Tyrants always create opposition. For two, I can only do what’s in my own control, I can’t do what’s not in my control, like attempting to control my family’s belief systems and values. The Stoics taught us long ago that we should try to use reason and Socratic dialogue to persuade others to our beliefs. I’ve learned a lot from this experience and I hope you can too. I’m just one person among many trying to do what I think is best for everyone. I hope my experiences can teach you how to be a truly good person even if your philosophies are disagreeable to mine. We’re all familiar with the Trolley Problem. A Trolley comes barreling down the tracks. Do you let it run over 5 people or do you switch the track to make it run over 1 person. The Utilitarian says to switch the track. The Kantian says to let the Trolley run over the 5 people, at least you didn’t deliberately make it kill one person. So what would the Stoic do? Virtue ethics is less about the consequences or act itself and more about the intentions and character traits of the agent. Honestly, the Stoic in my opinion is free to let Kantian or Utilitarian intuitions take over. In the case just mentioned, I imagine that the Stoic Sage would switch the tracks to save the five people. So I think Utilitarian intuitions would take over in that case. Now would you push a fat man off a bridge in front of the Trolley to stop the Trolley from running over 5 people? This situation seems intuitively different than merely switching the tracks. So I think the Stoic Sage would err on the side of Kantian intuitions and not push the fat man to his death in order to save the 5. Honestly, the Stoic in my opinion will just do what seems the most ethically intuitive when character traits traits are too vague to be useful in determining what to do in such ethical dilemmas. Just do what you’re compassion tells you to do in each situation and you’re safe. Stoicism: The Answer To Today’s Nihilism? Friedrich Nietzsche warned that with the death of God (the intellectual collapse of Christianity) that it would lead to a state of nihilism. Basically, for years Christianity had been the answer to everyone’s question, “how should I live my life?” Without the intellectual fortitude of Christianity anymore, where would people turn to for their values? Nietzsche took it upon himself to try to help us try to construct a value system that would help answer our question of how we should live our life. Unfortunately, Nietzsche never got to complete his system. He fell into madness and left only breadcrumbs of how we might live our life. It’s also not clear he was even up to the implausible task of answering how we might live our life. Secular forms of morality seem difficult to logically support especially after David Hume demonstrated it’s probably not possible to get an ought from an is. Utilitarian theorists such as Jeremy Bentham and John Stewart Mill tried to make a scientific form of morality but when Mill tried to derive an ought from an is, it turned out he was just equivocating between wanting pleasure and morally having to seek pleasure. Utilitarianism, despite its empirical/scientific nature, just wasn’t able to support itself. Ultimately you just had to bite the bullet whether you wanted to seek pleasure for the multitude or not. Immanuel Kant thought that if he could just support ethics in pure practical reason itself, it would would be enough to keep a secular version of moral Christianity intact. Unfortunately, Nietzsche later knew that this wasn’t going to help things because it was dependent on the concept of transcendental faculties divorced from our common everyday experiences. Immanuel Kant cut humans into two realms divorced from each other, the trascendental self and the phenomenal self. It came at a cost because Kant was asking us to postulate an afterlife and a God to judge us. What started out as a secular attempt to ground morality just turned into the same thing that doomed the Christian faith in its assumptions of an afterlife and God. Also, Kant promised that his ethics was going to be intuitive and commonsense but instead his categorical imperative led to all kinds bizarre consequences. You couldn’t lie selflessly to save other people’s lives. So much for common sense. Existentialists of the 20th century weren’t really up to the task to answer how to live our lives. They were essentially just replacing divine command theory of ethics with ego command theory. Basically, everyone’s values emanated from their choices they made in life. Essentially, they were inviting millions and millions of varying moral systems created by the authentic choices of each and every single human being. This seemed disastrous. Jean-Paul Sartre tried to ground his existentialism ethics in a form of Marxist solidarity but this certainly didn’t convince Albert Camus, another existentialist, who was quite critical of Sartre as a philosopher and as a person. So what should we do? How should we proceed? Existentialism seems truly scary and bizarre. Millions of ethical systems based on everyone’s unique “authentic” choices just sounds like chaos. It sounds like an ethical nightmare. Well….what if we turned back to the ancient Greeks and Romans? It turns out that the philosophers of the past might have actually had all the answers after all. In fact, if we look to the Stoics and even the Epicureans we might find a way to truly live our lives. The Stoics believed that only virtue was good and only vice was bad and everything else was indifferent. In fact, if one lived a life of virtue one would be promised a life of eudaimonic happiness. Basically, not only did the Stoics propose a value system but they proposed a value system that implied a form of therapy. If you follow virtue as your sole good, you would be promised a life of excellence and contentedness. This doesn’t mean you’d live happily ever after like in a Disney movie once you married your prince or princess. It meant that you’d achieve a noble state. You’d be worthy of praise, be generally untroubled, and free of negative passion. The Stoics might’ve been onto something empirically true with their ethical system because years later in 20th century Rational Emotive Behavioral Therapy by Albert Ellis was built on Stoic ethical premises and it seemed scientifically promising as a psychotherapy. Later, Cognitive Behavioral Therapy was derived and is doing great empirically as a therapy. What’s more is it turned out that the Stoics had an argument for how their ethics might actually be founded in something empirical. 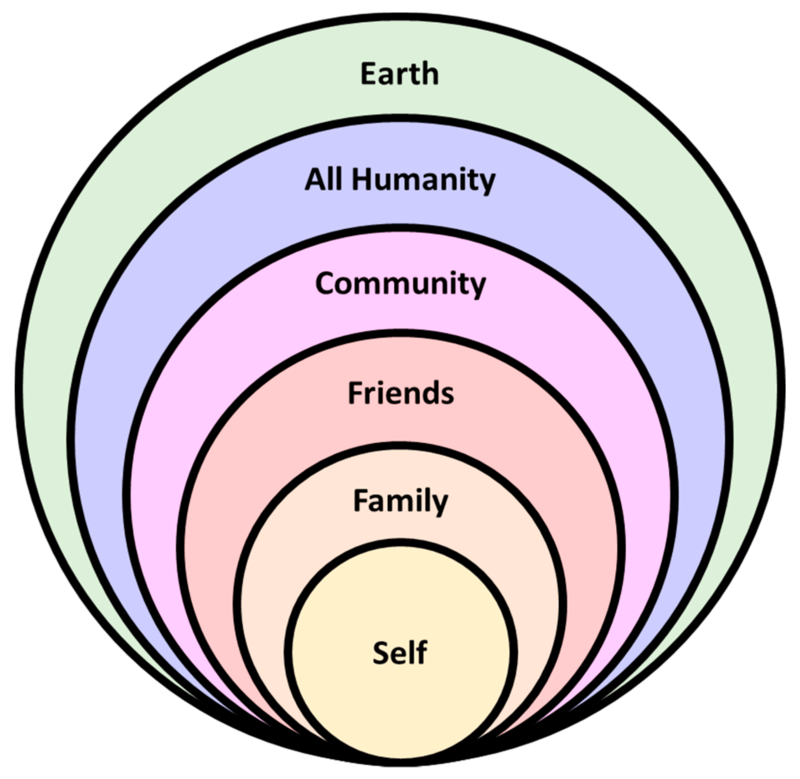 The Stoic Hierocles essentially argued that ethical forms of love spread out from the need of self-preservation to the need of the preservation of the offspring, which spread out further to the preservation of the tribe, and further to the preservation of the society, and further to humanity itself. I still haven’t carefully read all of Larwence Becker’s A New Stoicism but in his book he argues very logically convincingly for how Stoic ethics is founded in the initial need for self-preservation that spreads outward towards preservation of the human cosmopolis. So is Stoic ethics what we need as an answer to today’s nihilism? I think so. Am I absolutely convinced its the answer. I’m not sure. But I’m not sure of anything. As Socrates once declared, “All I know is that I know nothing.” But I certainly do think that I have rationally warranted beliefs in Stoicism as a coherent ethical system. The difference between Kant and the Stoics is sharp. Kant thinks you can act without desire from pure reason alone. The Stoics believe you should moderate your desires until they comport with reason. You still act out of desire but desire in line with virtue. Kant, by dividing humans between their desires and virtue has unfortunately created an unnecessary dualism of the human being. The Stoics avoided dualism making humans purely material monistic beings. Alasdair MacIntyre, After Virtue (1981), p. 149.